Kidney stones were found to partially dissolve and regrow again as they form. This challenges the theories that were held previously, but gives hope for new treatment. The findings showed that kidney stones are built up in calcium-rich layers that resemble other mineralisations in nature, such as those forming coral reefs. This contradicts the widely held notion that kidney stones are homogenous rocks that never dissolve and are different from all other rocks in nature, said lead author Bruce Fouke, geology and microbiology professor at the University of Illinois. "Contrary to what doctors learn in their medical training, we found that kidney stones undergo a dynamic process of growing and dissolving. "This means that one day we may be able to intervene to fully dissolve the stones right in the patient's kidney, something most doctors today would say is impossible," Fouke said. 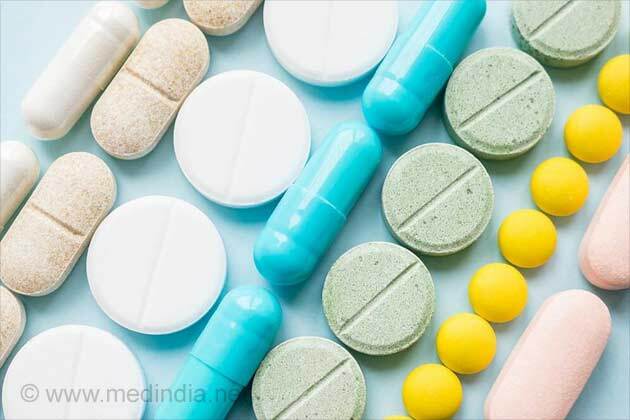 The research, published in the journal Scientific Reports, demostrated that "instead of being worthless crystalline lumps, kidney stones are a minute-by-minute record of the health and functioning of a person's kidney". "Before this study, it was thought that a kidney stone is just a simple crystal that gets bigger over time," said Jessica Saw, from the Mayo Clinic. "What we're seeing here is that it's dynamic. The stone is growing and dissolving. It's very rich with many components. It's very much alive," she added. For the study, the team used a novel technology -- Airyscan super-resolution microscopy -- that allowed them to view the samples at 140-nanometer resolution --spectacularly clear, colourful images of the interior growth history of the kidney stones. They found that kidney stones are built up in alternating thin layers of organic matter and crystals, interrupted in places with jutting interior crystals. In the earliest stages of kidney stone development, crystals of a hydrated form of calcium oxalate adhere to one another, forming a big, irregular clump. Layers of organic matter and crystals build up on top of this inner core, creating an outer shell. The stones continue to dissolve and grow. But many of the layers were disrupted, revealing that part of the stones - usually the interior dihydrate crystals - had dissolved. New crystals of a dehydrated form of calcium oxalate had begun to grow again within those voids. 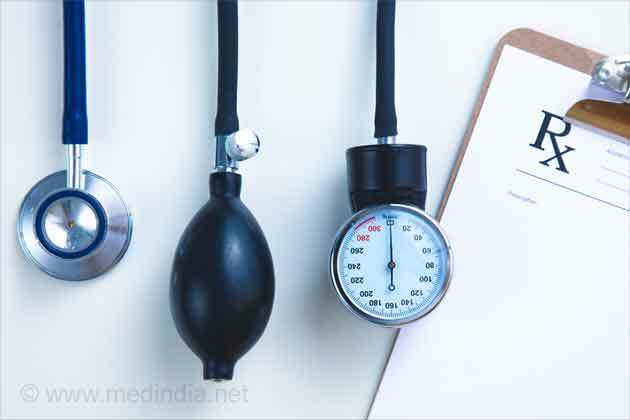 Scientists and doctors who study and treat kidney disease will now need to rethink their basic assumptions, the study noted. 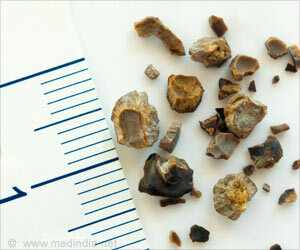 Drugs for kidney stones are used to treat the symptoms of the condition and to prevent new stones from forming. Ureteroscopy is an endoscopic procedure that clears stones from the ureter or the kidney. Stones in the urinary system can form in the kidneys and can sometimes travel down towards the bladder to give rise to acute colics.